Believe I've done this correctly now. Looks Great! Thank you so much for being so considerate! Nicely done. Can't wait to pitch in. Thanks. Dang, I remember when the entiire neighbourhood was all on the same party line number. No wonder some Amish are not fond of innovations that reduce the special nature of face to face communicsation. Corporations adding automaric advertisements to my conversations is very unpleasant to my way of thinking. Learning how to use this app. Thanks for responding, and I turned off my signature. I hope you check us out on a regular browser as well. Our actual site offers a better experience than Tapatalk alone does. 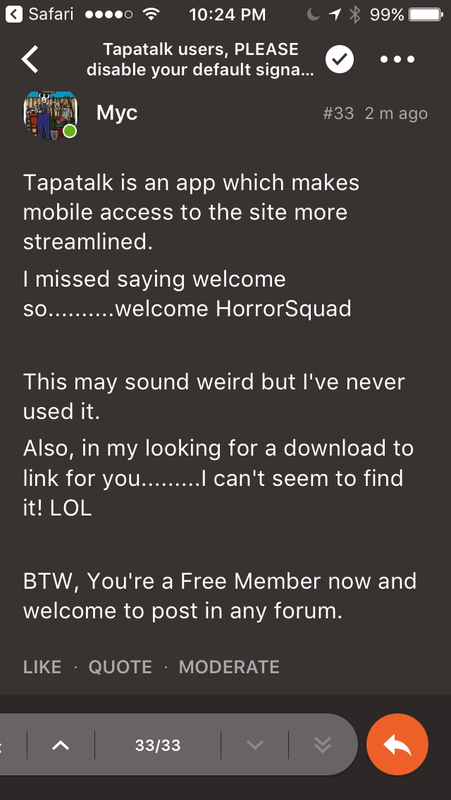 I just like to remind members of this as I have met quite a few people that have thought Tapatalk was Mycotopia and that the two were one in the same. Tapatalk is nice for the alerts and notifications but the app make it easy to miss a lot of useful information. 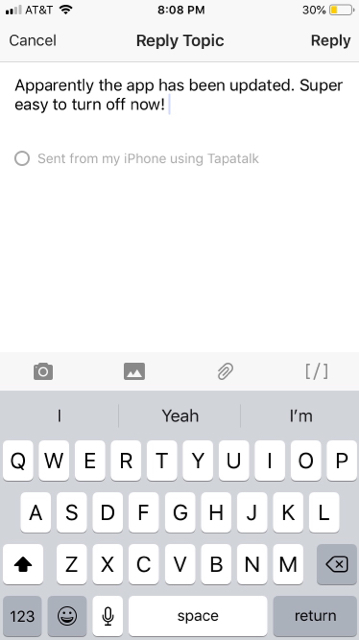 Tapatalk is an app which makes mobile access to the site more streamlined. This may sound weird but I've never used it. 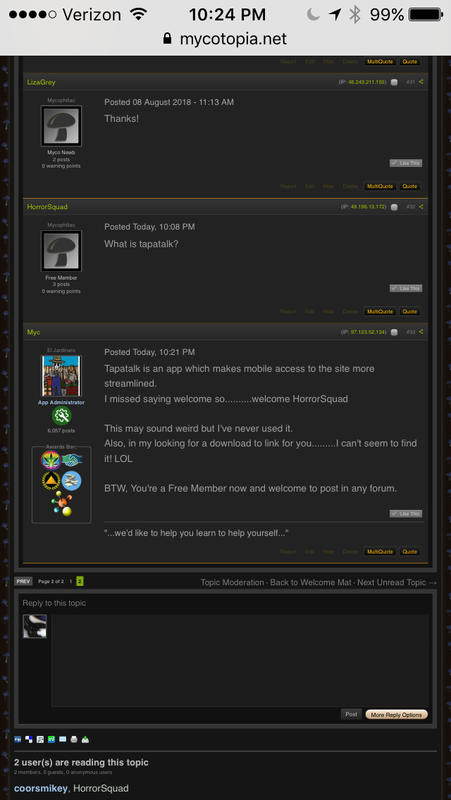 BTW, You're a Free Member now and welcome to post in any forum. That is not our chat, it is aTapatalk only thing that has no affiliation with us. Its not moderated so no worries! Apparently the app has been updated. Super easy to turn off now!